Architect: Roger Ferris + Partners, Westport, CT.
Installer: JRoss Construction, Leominster, MA. 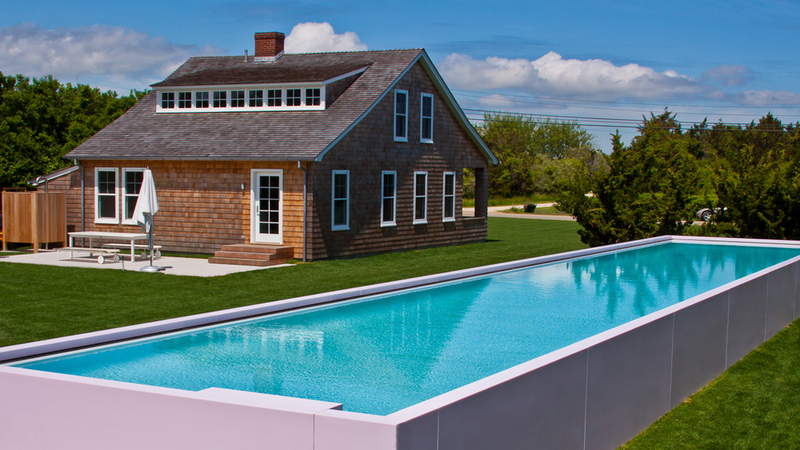 This semi- in-ground/ above ground lap pool measures 15’ wide and 77’ long. 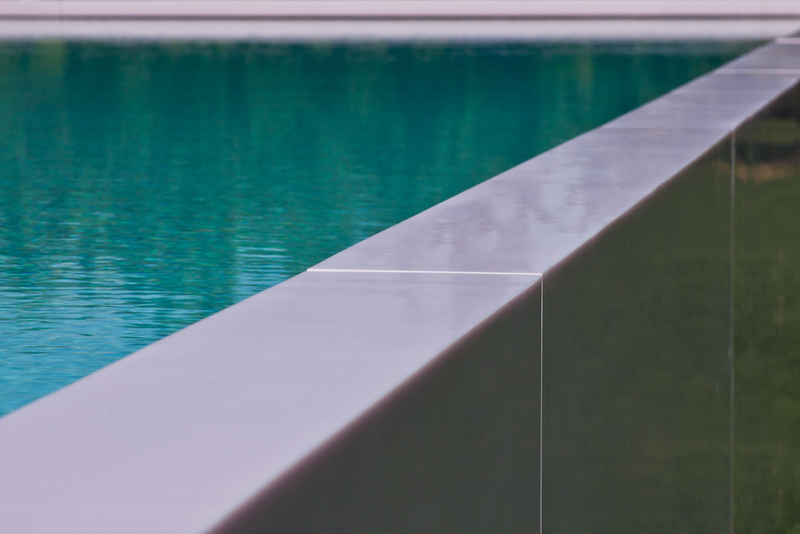 The CORIAN cladding was installed using the principles upon which CORIAN Exterior Cladding is based, allowing for seasonal movements of the material as it is exposed to the extremes of hot and cold. Colors considered were Nocturne, Night Sky, White, Raffia, with Strawberry Ice getting the final nod. The family has a special interest in British art, so the color chosen fits well with their artistic flair.